BeenThere-DoneThat: The area around the Guildhall, London. It also houses, in the basement, remains of part of a Roman Amphitheatre which were discovered when excavations for the new art gallery were started in 1988. Mason's Avenue runs from Coleman Street emerging into Basinghall Street by a side wall of the Guildhall. This is at the Coleman Street end and the pub on the left is the 'Old Dr Butler's Head'. 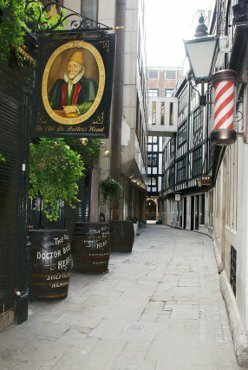 It was named after the court physician to James I and was established in 1610 but had to be rebuilt after the Great Fire of 1666. 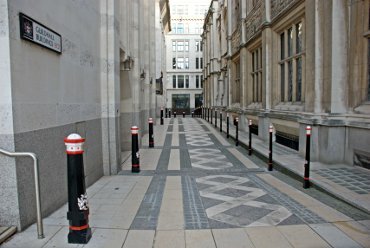 Guildhall Buildings, as you can see, is a passageway not a building and runs from the courtyard at the front of the Guildhall through to Basinghall Street. 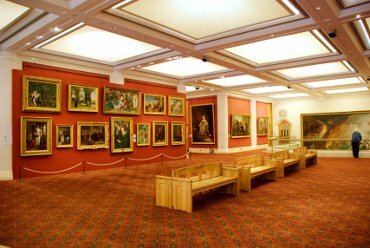 On the right is the Mayor's and City of London Court - the Lord Mayor is also the City's chief magistrate. As you walk around the outside of the Guildhall look up! 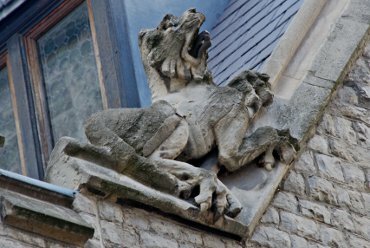 On the parapet around the roof are a number of strange and grotesque animals. This is just one of a number we saw in Basinghall Street.